Zur Landeroith GmbH - 23 P n.t. / 5 F n.t. 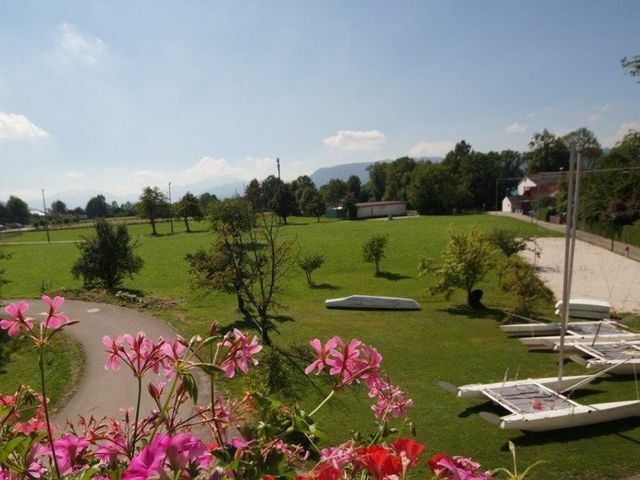 Situated on the sunny side of the lake, 1 km from the village, directly at the promenade. Huge beach with sunloungers. Diving entry point/drying room, outdoor-air-filling station and diving-center. Children's playground, table tennis, table football, billard, reading and playing corner. Sauna, solarium. Rooms commonly have a balcony, bathroom with shower/bathtub and WC, Sat-TV and free Wifi access. Breakfast buffet. Extra charge Euro 10,- p.P a.N. Apartments from 2-7. extra charge for dog without food Euro 8,-The restaurant 'Seeterrasse' directly at the hotel is opend from July-August every day. Mai, June, September closed Monday and Tuesday. Our double rooms with lake view have for the most parts shower/bathtub (on special request with shower), seating and balcony. TV-set and WiFi in all rooms available. Change of bed-linen once a week. You can use the couch as third bed. Our double rooms with hill side views have for the most parts shower/bathtub (on special request with shower), seating and balcony. TV-set and WiFi in all rooms available. Economic double room normal at lake or hill side with ashing and shower facilities in the room and seating. TV-set and WiFi in all rooms available. 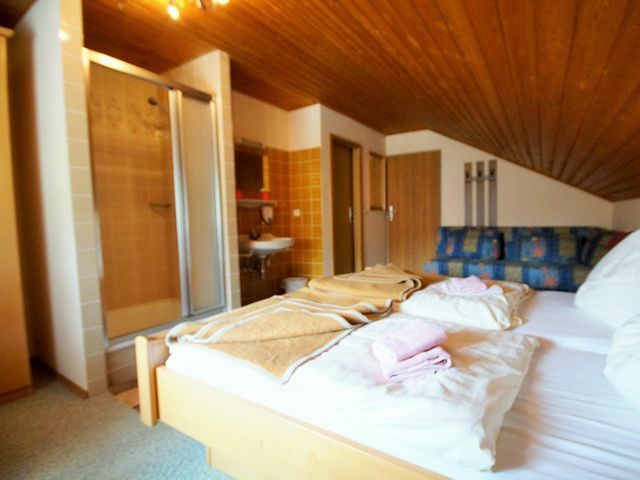 Our triple bedrooms with lake view have renewed bathrooms (2013) and for the most parts shower/bathtub (on special request with shower), seating and balcony. The couch can be used as fourth bed TV-set and WiFi in all rooms available. The holiday apartments can be be booked with breakfast or half board on request. 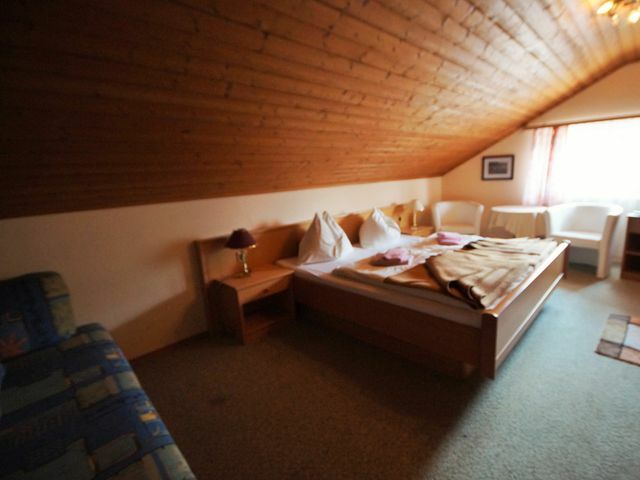 Holiday apartment for 4 to 8 persons with lateral or direct lake view and balcony. The apartments consists of 3 rooms, 2 separated bedrooms, a kitchen with cooking facility and fridge (cookery available), seating and a bathroom with shower and toilet. TV-set and WiFi in all rooms. 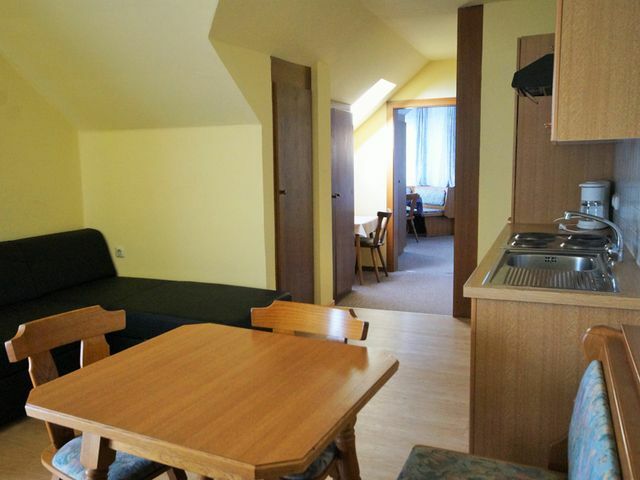 Holiday apartment for 4 to 8 persons with lateral or direct lake view and balcony. 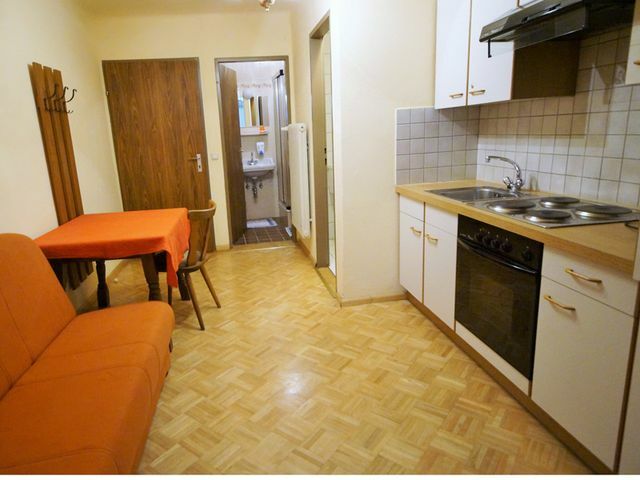 The apartments consists of 3 rooms, 2-3 separated bedrooms, a kitchen with cooking facility and fridge (cookery available), seating and a bathroom with shower and toilet. You have either a balcony or a terrace. TV-set and WiFi in all rooms. 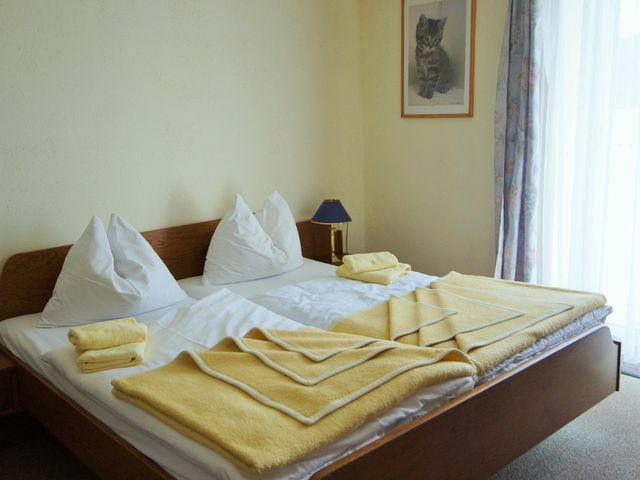 Double rooms "Mansardenzimmer" with lake view have washing and shower facilities in the room and seating. TV-set and WiFi in all rooms available. 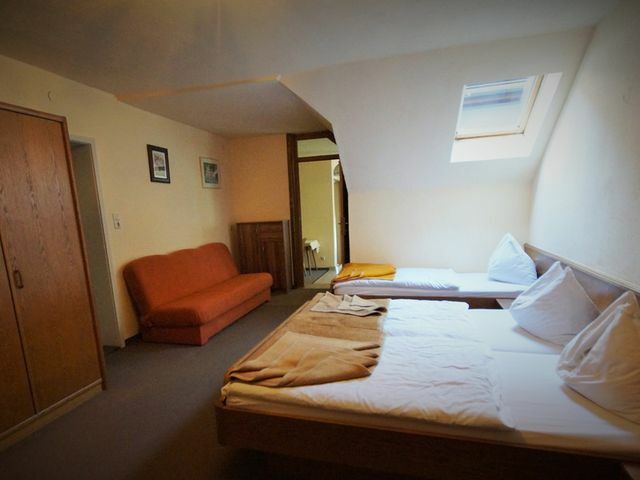 Economic double room normal with lake view ad shower facilities in the room and seating. TV-set and WiFi in all rooms available. Some of these rooms have a balcony. Please, choose your desired offers with a click on the small box on the right beside the name. Please, give, in addition, your credit card data. They serve merely for the security of your reservation.